Krystle Kleer Honeywell - Edmonton's Burial & Cremation Professionals | Trinity Funeral Home Ltd. It is with sad and heavy hearts we announce the sudden passing on January 12, 2019 of Krystle Kleer Honeywell in her 37 year in Edmonton, Alberta. 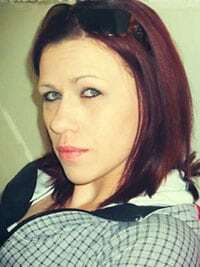 She was the mother of four beautiful children: Devin, Kelli, Shayne and Alexander. She is also survived by her grandmother Christena Honeywell, mother Cyndi and stepmother Karen, along with her siblings Shane(Rickylee),Angye, Ivan and Star(Garrett). She is predeceased by her father Hanzel Honeywell, and grandfather Hank Honeywell. Krystle had an indomitable spirit that was contagious to those around her. She will be missed by her many aunts uncles, nieces and nephews, and childhood best friend Chantale. Private service to be held in Ontario. In lieu of flowers please donate to the Canadian Mental Health Association. Sorry for your loss, may I ask if she attended St Basil Jr HS?